Opening the car door, a small note left on the fridge, holding hands, saying “thank you”…. just tiny little things that we do for the ones we love that mean so very much. I’ve really come to understand that it is the LITTLE THINGS that really mean the most. It is the little moments that really demonstrate to someone how much you care, how much you love and respect them. 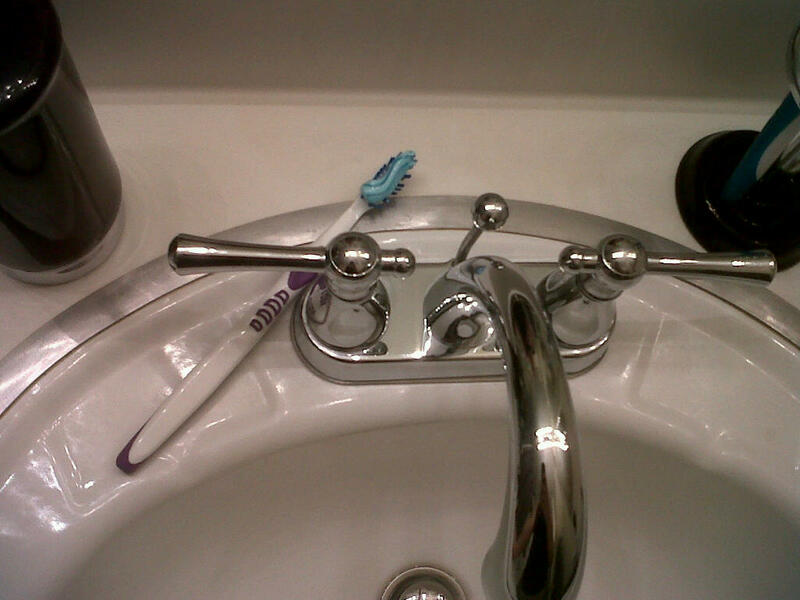 For example, the photo above is simply a photo of my toothbrush. But, more than that, it is a photo of a tiny thing that my husband does for me almost nightly. Most of the time, my husband will make it to the bathroom to brush his teeth for bed before I do. I’m normally finishing up watching a show on TV in the living room, or yes, typing on the computer. He’ll make his way into our room to get ready for bed and I’ll follow a few minutes later. I know it’s such a small thing, (and yes, I know, I could obviously do this for myself!) and yet it regularly brings a smile to my face. Just the fact that he thought of me is comforting. He didn’t want me to have to do it, he’s done it for me. I think it’s so sweet. Daily I try to do little things for him also, just to show I care. A quick email, a funny photo sent to his phone, trying my hardest to master his favorite dish. I want him to know that I care, not just by the grand moments, but by the small ones also. It’s not just with your spouse or boyfriend that this applies, it is to all of our relationships. Call a girlfriend out of the blue to just say hello, send a greeting card for no reason (my fav! ), bake cookies and bring them into work. Why not? When my best friend got into nursing school, I made her a bunch of homemade glitter (yes, glitter) “Congratulations!” signs and posted them all over her car in the middle of the night. I didn’t spend any money, or go out of my way, it was just a little thing. I knew how hard she had worked to get into her nursing program and I was so happy for her. I wanted her to have a little moment when she came out to her car the next morning and see how excited I was for her new adventure. What’s funny is that just last week she told me she still has those stupid signs after all of these years, and refuses to get rid of them. It makes me smile that they meant so much to her, and that they still do after all of this time. This all goes hand in hand with the ever popular “actions speak louder than words” idea. We need to show those around us that we love them, not just say the words. One little thing at a time….one little moment after the other. So thrilled for all of the new adventures in your life, this one included. I’m here with you every step of the way. Ps. How cute is your hubby that he does that?!? ?